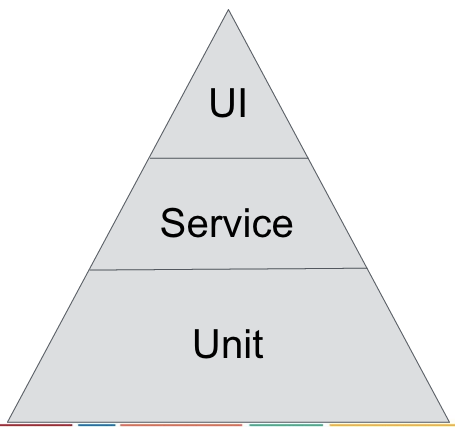 Fowler advocates for three levels of testing: unit, service, and UI. If you’d like the full description, you can read about it here. Unit Tests Remain – If you don’t write any other automated tests, please write unit tests. In the least, unit tests open the door for things like test driven development and refactoring. UI Tests Remain – With the vast variety of device sizes and OS versions, UI tests’ value can multiply with the more devices and OS’s you run them on. No Service Layer – I think with most iOS apps, there’s no need for the Service layer. I think a comprehensive suite of unit tests will take care of anything that the service layer would have otherwise taken care of. Add Snapshot Testing – Snapshot testing can really help “lock in” your user interface to ensure it looks pixel perfect and preventing any future code changes from introducing slop. 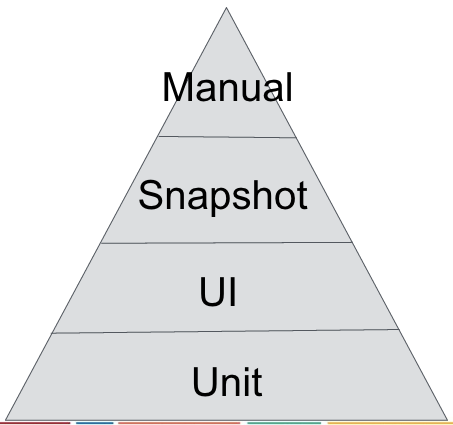 Add Manual Testing – There are simply bugs that no amount of automated testing will find. There was one bug we came across where a hidden `UIView` was covering a button in a very specific edge case such that the button was not tappable. This was found by a human during manual QA. It never would have been found by automated tests alone. TestFlight makes this so easy these days, don’t skimp on it. Manual Testing – You and your friends’ own two fingers. Snapshot Testing – As far as I can tell FBSnapshotTestCase is the only game in town. UI Tests – Lots of options here: KIF, Xcode UI Tests, Frank, Calabash. Unit Tests – XCTest FTW.